The following letter was sent to SEC Chair Mary Schapiro and IRS Commissioner Doug Shulman on “tax day” with the hope they will jointly work at restoring the integrity of cash flow statements, without question the most important analytical tool for investment advisors like myself. It is simply astonishing, given their material nature, that listed companies are not fully disclosing purchased and accumulated net operating losses nor the impact of complying with the “fractions rule” in the case of private equity partnerships. In 15 years as an investment advisor I have always done my best to support the SEC’s work, having led many key corporate governance related initiatives. Past Chairs Levitt, Pitt and Donaldson are all familiar with my work, which has also been reported in front page stories in leading publications including Bloomberg, the New York Times, Barrons and USA Today. 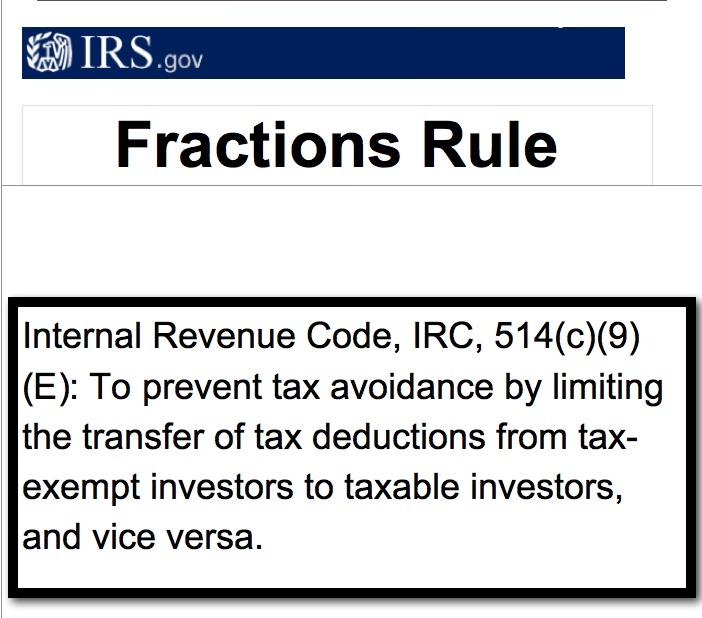 Prior to the fractions rule, investors were investing $1 in order to get $5 to $7 in tax deductions. President Reagan was so incensed that he signed into law new legislation, the “fractions rule,” specifically designed to end this scheme. During this period no firm was more abusive with respect to tax avoidance than General Electric. 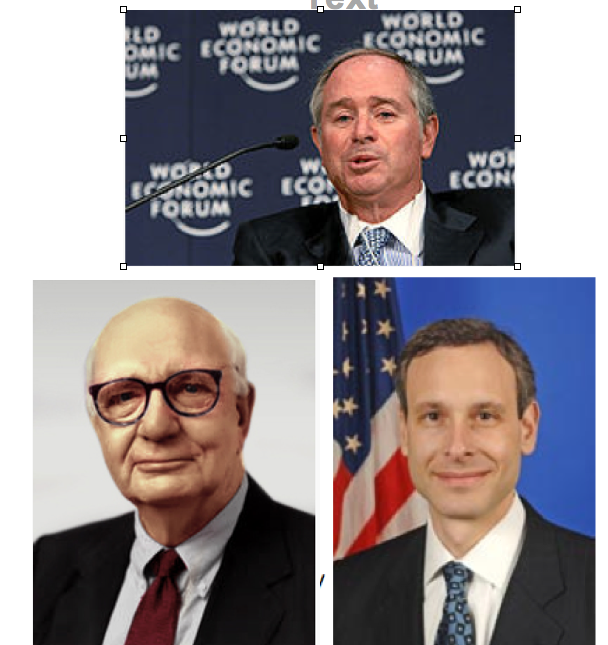 Today Reagan’s reform is being challenged in an assault on taxpayer fairness led by the private equity firm Blackstone and its CEO Steve Schwarzman (pictured below left), in conjunction with the American Bar Association (ABA). 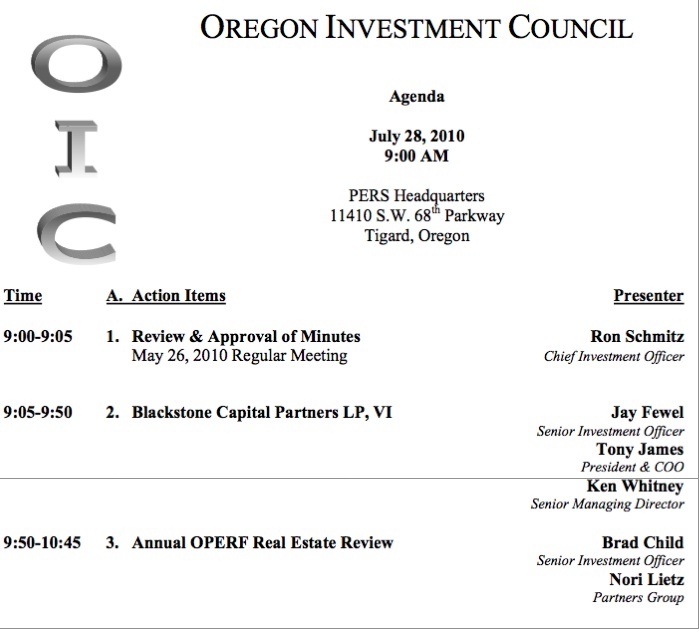 See my August 2010 blogpost “Blackstone: Private Equity or Public Theft,” for expanded background. Before you consider the proposition of gaining $5 of deductions with a $1 investment preposterous, listen to the brief clip below of Sanford Presant of Greenberg Traurig, one of the nation’s leading real estate attorneys. It is actually two short clips, the first is his introduction at a major tax conference and the second an explanation of what led to the fractions rule in his own words. Presant is a national authority in this area and has had major roles with the ABA, in addition to heading up Ernst and Young’s real estate practice. The complete audio recordings for Presant’s remarks, in addition to those of Internal Revenue Service Associate Chief Counsel Curt Wilson, can be purchased at http://www.dcprovidersonline.com. Also featured in the recording is Wayne Pressgrove of King & Spaulding, who makes a case to IRS Counsel Wilson for a revenue ruling to disable the fractions rule. It is ironic that Reagan relied on the same law firm, King & Spaulding, to craft the fractions rule in the 1980’s, and these lawyers did brilliant work. At a 2010 ABA conference, Internal Revenue Service Associate Chief Counsel Curt Wilson volunteered to sit on a panel and explained where the IRS stands on fractions rule enforcement. Wilson is introduced by Wayne Pressgrove of King & Spaulding. Wilson notes there always seems to be “considerable angst” in the audience regarding compliance with this rule. He added that one of the American Bar Association’s key initiatives was to amend the fractions rule. Remarkably, Wilson adds that he has seen almost no activity in this area at the IRS for years, either centrally or in the branches. One might ask if this is just but another GE-like inspired scheme. 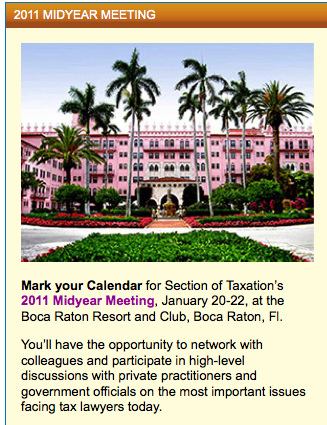 Earlier this year Wilson responded directly to me via email that the IRS was not planning to repeal the fractions rule. However, the Treasury department’s February 2011 General Explanations of the Administration’s Fiscal Year 2012 Revenue Proposals were released and they include a repeal of the fractions rule (see page 90). Wilson now notes that someone else in his office is responsible for the fractions rule, yet he will not disclose who this is. Why is this important for all investors? This month NY Times reporter David Kocieniewski wrote a remarkable piece on General Electric, noting the company earned significant profits, yet paid no federal income tax in 2010. The article also noted that GE maintains a “970” employee tax department headed by John Samuels, a former United States Treasury department official. Such situations are important for all investors to consider because long-term cash flow is a primary determinant of investor success. Next to labor costs, taxes are often the most significant cash outflow for most businesses. Clearly, tax avoidance alone is not sustainable long term and such a risk should be considered. Other firms with significant such risk include Google and Cisco Systems. The overall point again is simply, cash flow matters. Given the opaque nature of these tax schemes at firms such as GE and Blackstone, it is often helpful to analyze them from the bottom up. 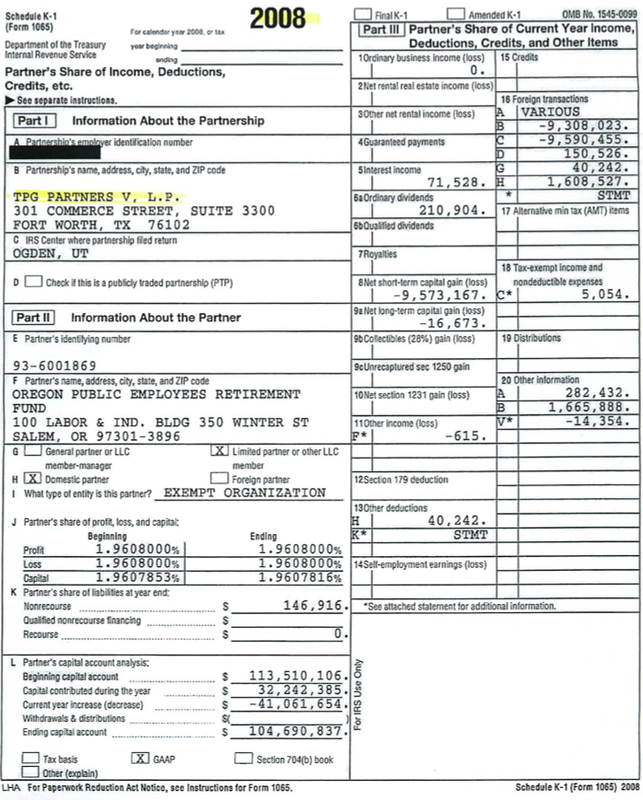 For example, Catalent Pharma Solutions is a Blackstone-owned company that files its own 10K with the SEC. This provides valuable information including executive non-qualified (NQ) option agreements at Catalent and footnotes explaining how entities roll up to the Blackstone parent. Much of this information is simply not available in Blackstone’s own 10K filing with the SEC. The following list of entities shows exactly how Catalent eventually connects to Blackstone, its parent. 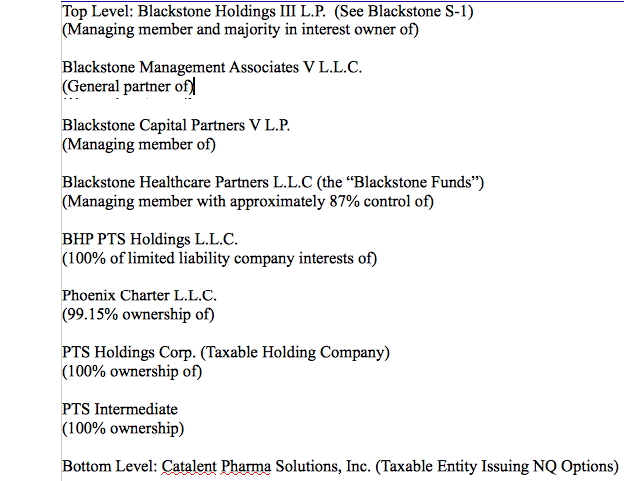 The Top Level partnership, Blackstone Holdings III L.P., appears in Blackstone’s SEC filings and org chart. It is mostly owned by tax-exempt public pensions. 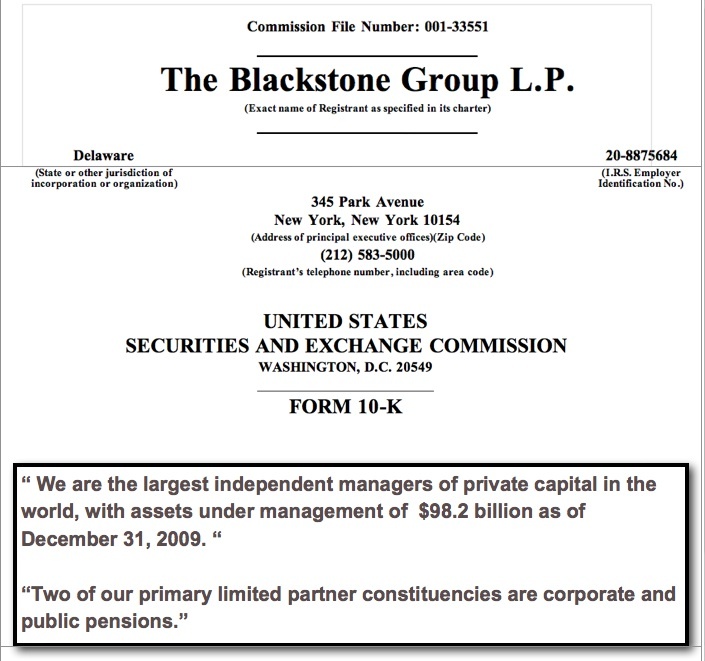 The carried interest fees these tax-exempt pensions pay is indeed Blackstone’s primary source of income, an expense to the tax-exempt pensions and revenue to Blackstone. 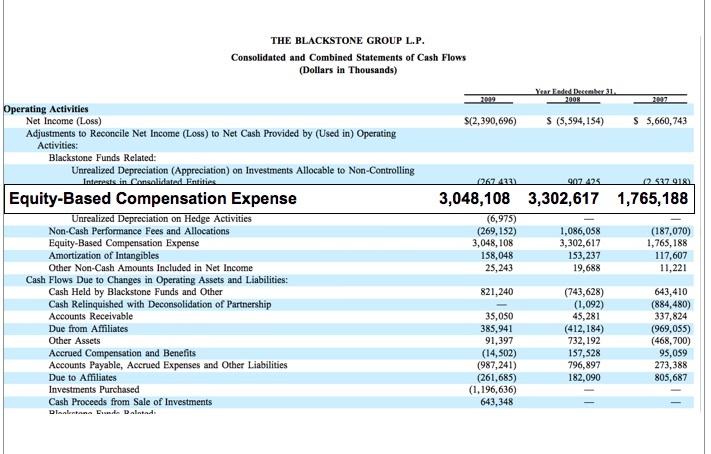 If Blackstone is manufacturing non-qualified (NQ) tax deductions at the Catalent wholly-owned subsidiary level, which are actually a pass-through of the carry fees (internal carry plan) paid from tax-exempt limited partners to company executives, then this could be a significant violation of the fractions rule. Sound bizarre? Perhaps that is the beauty of laundering activity through so many layers of entities, combined with transfer pricing algorithms managed by leading accounting firms. 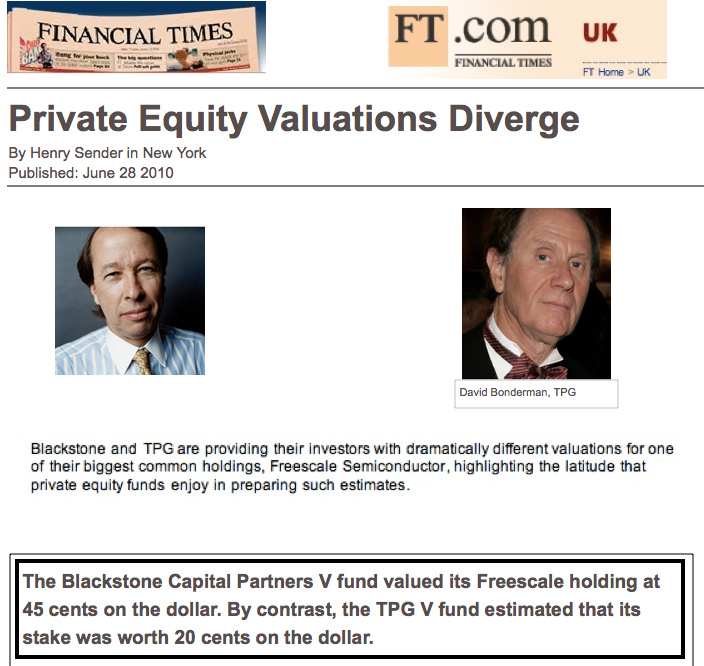 Keep in mind that Blackstone has hundreds of individual companies in its various partnerships. One could argue that the only real company in this whole structure is Catalent. Imagine how frustrated their competitors who pay significant taxes feel. Perhaps this is the real nexus of the national debate over taxes. Rates should be able to come down in all categories, yet this is simply not possible until the basic tax equity issues are addressed. What we need is enforcement of the fractions rule, specifically with respect to compensation allocations, in my opinion. Repealing the fractions rule is now the “Holy Grail” for many private equity firms, in particular with respect to the allocation of compensation deductions. The 2012 Treasury Department revenue proposal refers to using a less restrictive rule that does not deal with the key issue involving tax exempt entities, perhaps returning us to the days when certain insiders can invest $1 and get $5 in tax deductions. Despite all the controversy surrounding Reagan’s Presidency, one can be certain that he would have dealt with this nonsense swiftly. We will soon see how the current Administration does. These private equity firms failed to get the fractions rule repealed in Congress. They then failed again in their request to obtain a revenue ruling, sponsored by the ABA, from IRS Commissioner Doug Shulman. 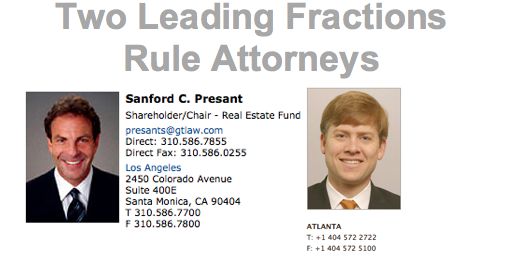 The ruling was designed to exempt compensation (carry fees) from fractions rule considerations. They now have remarkably gotten the United States Treasury Department itself advocating their cause per the 2012 Treasury Revenue Proposals which effectively repeal the fractions rule. Somewhere out there is an underpaid lobbyist and about the only thing standing between their success in repealing the fractions rule is a good journalist. 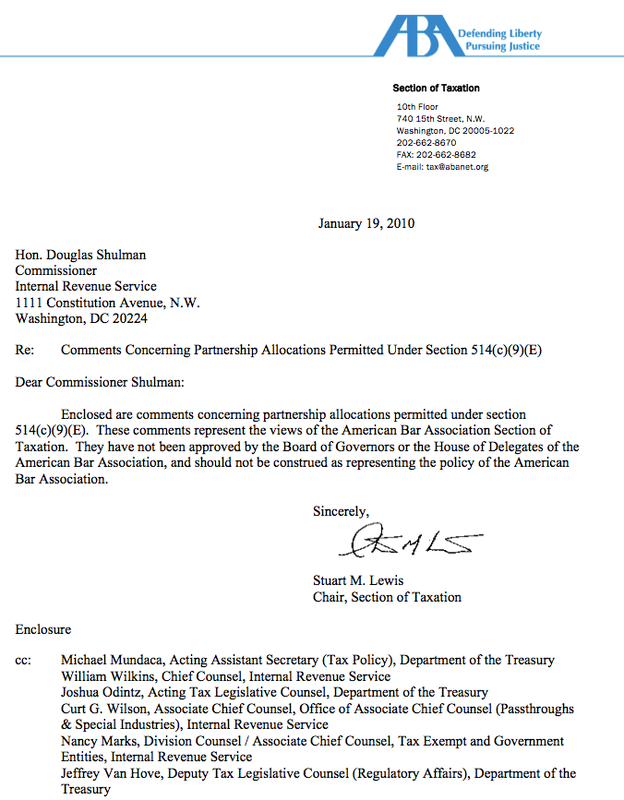 The following letter was sent to Warren Buffett and his heir apparent, David Sokol, on March 24, 2011 because he like all investors will see diminished opportunities as companies are taken private by private equity firms such as Blackstone in order to implement what might be called a tax deduction pyramid scheme. Interestingly, Sokol resigned shortly thereafter on March 30, 2011. By the way, does anyone really believe Warren Buffet would invest $9 billion in Lubrizol so Sokol could earn a profit of $3 million, perhaps the equivalent of a rounding error for his personal portfolio? Similarly, does anyone really believe Sokol resigned solely based upon this investment? In any event, here is the letter to Buffett, whom some argue is a leader in key corporate governance issues, including tax equity. I hope you are well and enjoying things. The last correspondence we had resulted in that most memorable letter from David Sokol regarding the purchase of PacifiCcorp here in the Northwest. The reason I am writing today is that I would like to reveal, similar to the work I did regarding Microsoft in 1999 that ultimately resulted in two reporters earning Pulitzer prizes and a veritable cottage industry of media tag alongs, a most astonishing taxation story. One that, if you do not address, will clearly hobble many of your portfolio companies. Recommendation: Have your top analyst take a look and confirm you will not only be priced out of many acquisitions but also see your portfolio companies hobbled if this is repealed. No matter how well run and efficient you are, and no matter how great the sloth at these PE firms, this will greatly impact you in my opinion. There are many specific facets to this scheme yet they all revolve around ultimately allocating unusable tax deductions belonging to tax exempt partners to taxable partners. Most remarkable is that these are not real expenses such as depreciation but rather mostly compensation in the form of carried interest fees. 1) Private equity funds now receive most of their funding from tax exempt sources, in particular public pensions. 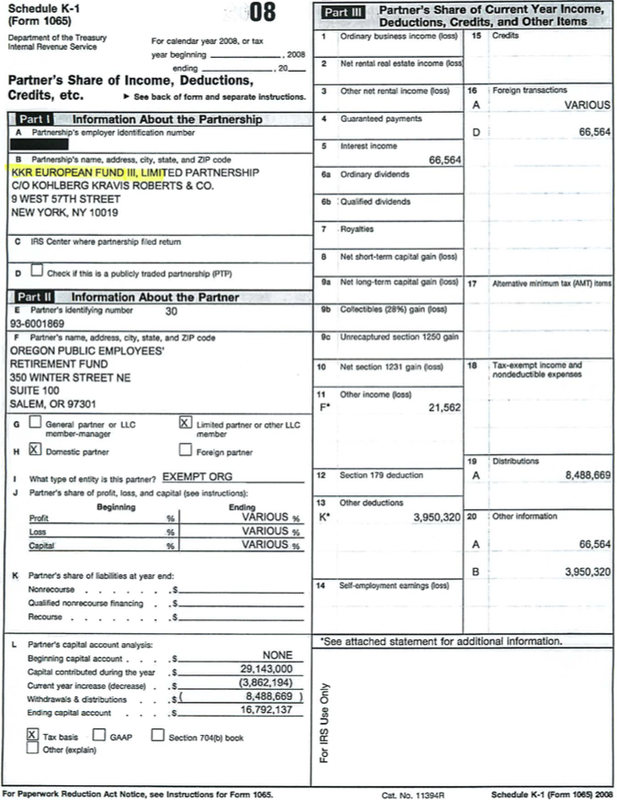 George Roberts and others now spend most of their time gathering such tax exempt investors. PE firms portfolio acquire companies and create vast stock option programs, what some call internal “carry plans,” and by doing so take NQ option deductions at the individual portfolio company level. In reality, this is nothing but a push down of the carry fees paid from mostly from tax exempts, which is non-deductible. These carry fees are an economic expense belonging to tax exempt, often booked as a balance sheet transfer, never hitting the P&L statement. 4) The reason this impacts Berkshire is that everything else equal, you cant compete on a long term cash flow basis with firms that pay no taxes at all In addition, as Roberts states, their strategy is to aggressively price competitors out of the various markets and then later raise prices. While you may say, this won’t effect us Bill, do have one of your best analysts take a good took. Quite remarkable. I’ve also provided this information to the Internal Revenue Service yet they will not comment. 5) IRS Perspective to Date: Curt Wilson in the office of passthroughs and special industries has noted in national ABA conferences that “although their is considerable angst regarding the fractions rule,”it has been off the IRS radar screen. He also responded to me via email earlier this year when I expressed concern over the ABA aggressively pushing for repeal, specifically lobbying him hard at national conferences, that the IRS did not support that. Remarkably, however, in February the Treasury issued guidelines for 2012 which include its repeal. When asked for additional information, Wilson replied that someone else is handling this in his office but I can’t get a response from him who this is, much less any specifics. Please do take a look. and naturally I will make myself available if someone there would like to discuss in more detail. By the way, as you likely know, all four of the major CPA firms are making very significant revenues servicing private equity and hedge funds who aggressively use carry fees. I began my career at Arthur Anderson when it was a great firm in 1980’s. Perhaps helping prevent this repeal will also help prevent an Anderson like moment in the future for one of these firms. It is indeed possible that this is a bigger situation than LILO leasing.